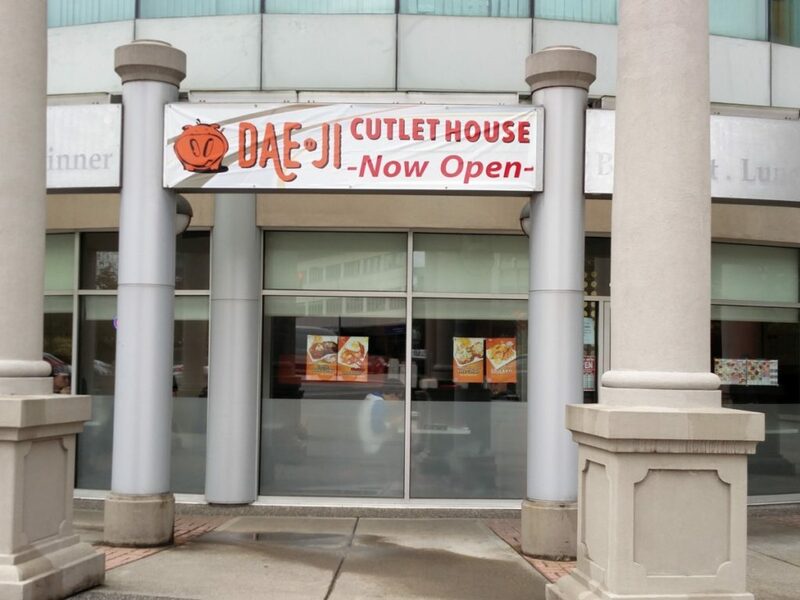 Dae Ji is a Korean cutlet house that serves up delicious Korean comfort food including fried cutlets, hamburg steaks, fried chicken, fried rice, and pork hocks. They have 6 locations in the Lower Mainland with the South Burnaby location being one of the newest ones. 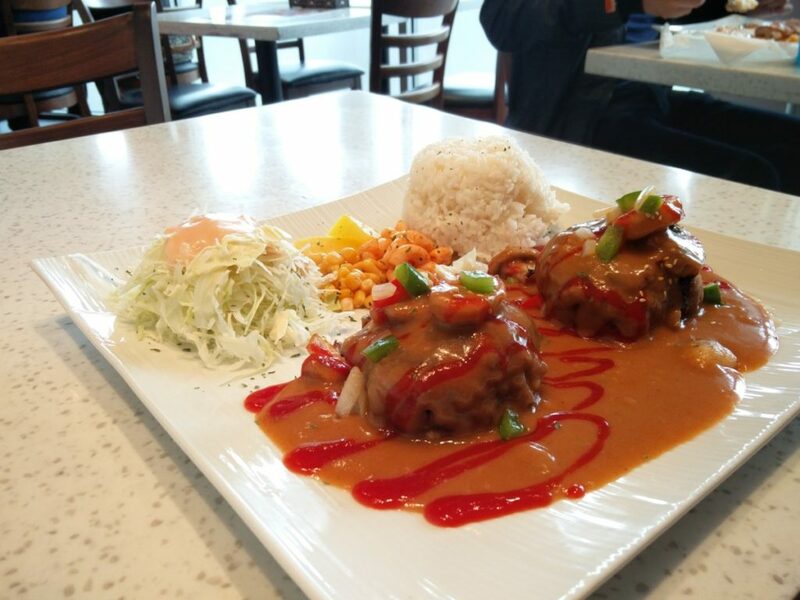 It’s directly across from Metrotown so you can easily come here for lunch or dinner after a day of shopping. 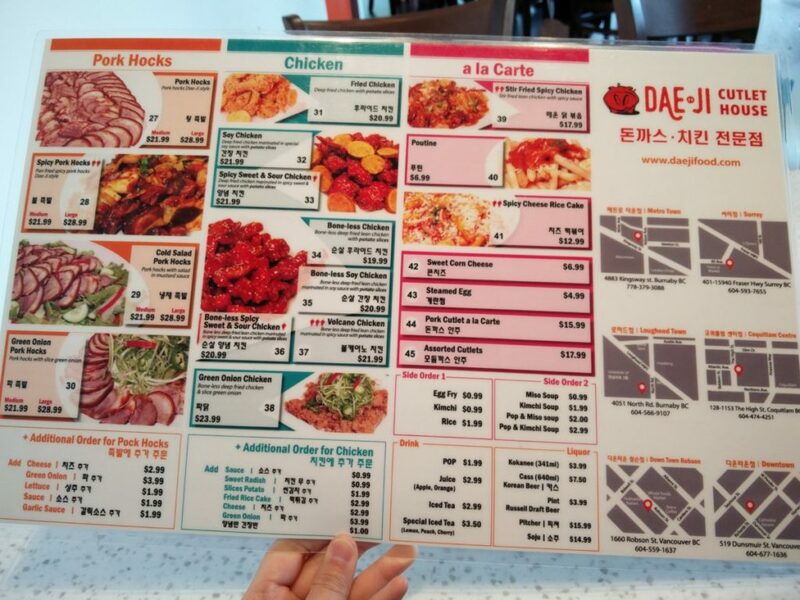 One of the things I’d highly recommend is their Green Onion Chicken ($23.99). 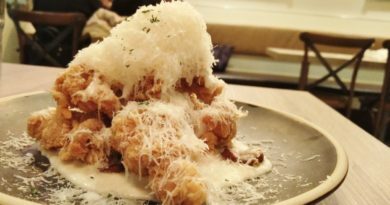 It’s essentially a pile of fried boneless chicken, topped with a heaping load of raw shredded green onion. If you get this, get a bowl of rice to go with it and it’ll make a perfect lunch for two! One of the things Meta Knight likes the most about Dae Ji is their humongous portions. 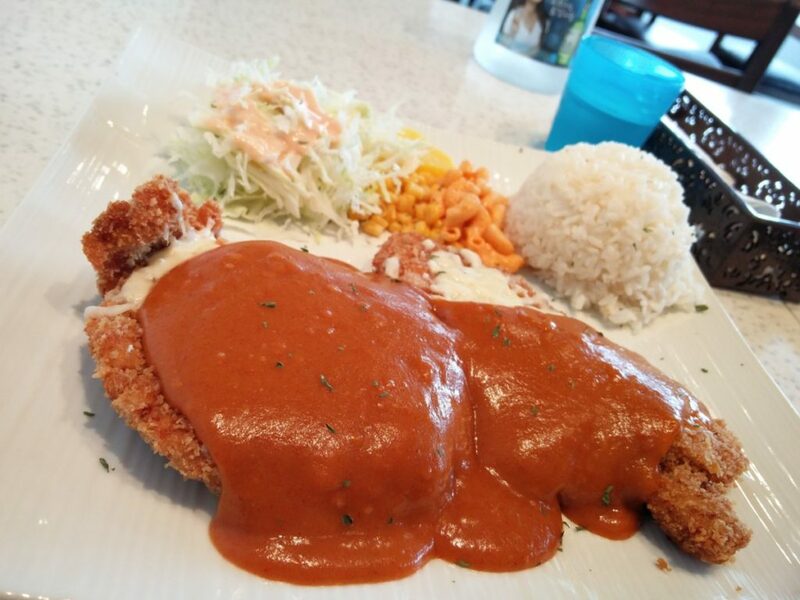 Whether you get their hamburg steaks or katsu cutlets, they portion is realistically good enough for two people. 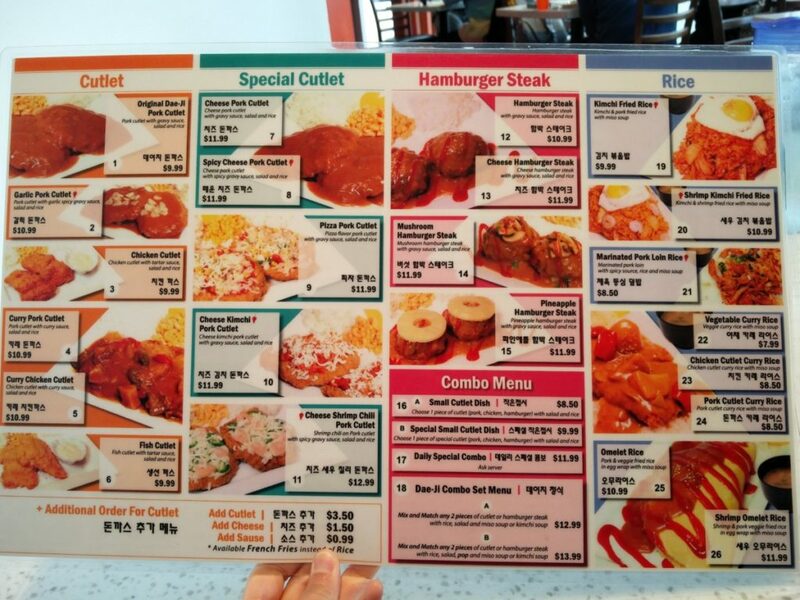 On one visit, I got the Spicy Cheese Pork Cutlet ($11.99) and two pieces of chicken cutlet came, smothered in melted mozzarella cheese and a thick spicy tomato cream sauce. The side dishes include a little cabbage salad, macaroni, corn, and a bowl of rice. 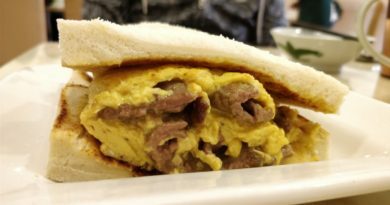 I didn’t actually enjoy the melted cheese and sauce on my cutlet because I realized they dampened the coating which made it not crispy. Other than that, the flavours were all really bold and of course I packed some home for lunch the next day! 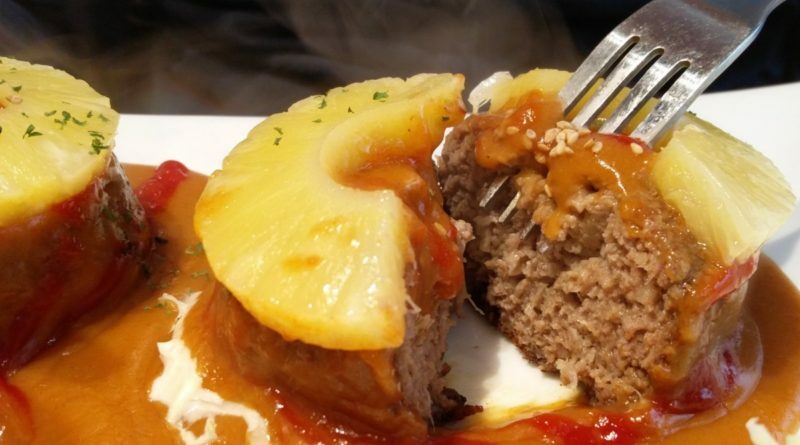 On another occasion, Meta Knight ordered the Pineapple Hamburger Steak ($11.99) and it did not disappoint at all. 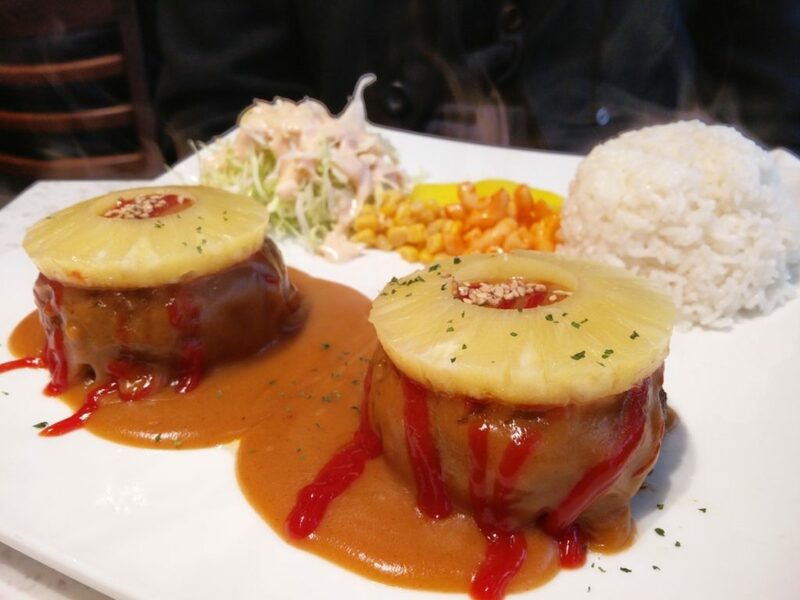 In addition to the light gravy, it came with drizzled ketchup too and it surprisingly added another dimension to the dish. 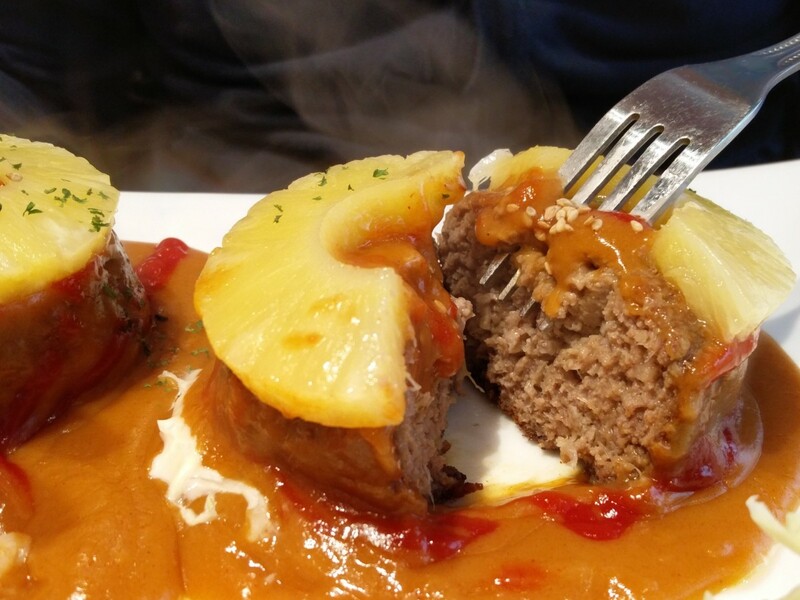 The hamburger steaks, while incredibly thick, were perfectly cooked throughout and was moist, tender, and flavourful. The addition of pineapple just made it even better. 😀 I highly recommend trying this dish out! I instead went with the Kimchi and Pork Fried Rice w/ Miso Soup ($9.99). 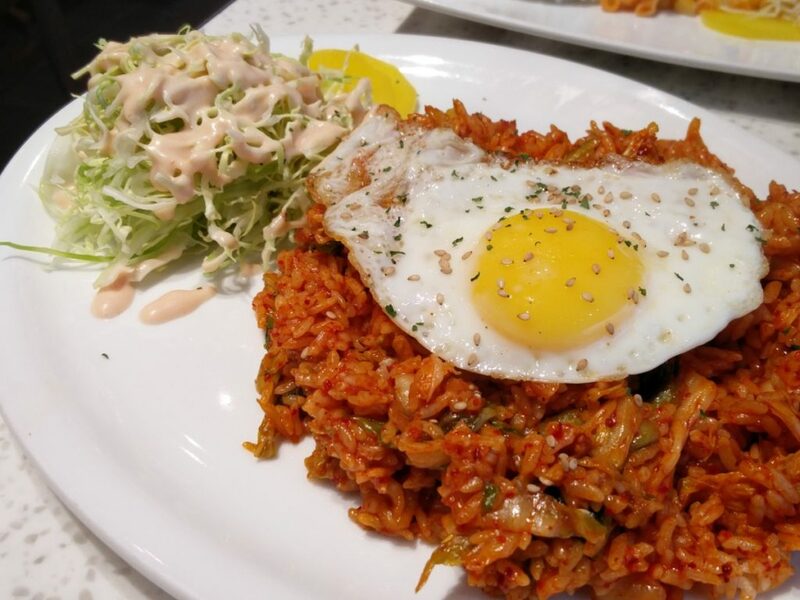 I couldn’t taste the pork at all while eating it so I would say it was just more like Kimchi Fried Rice. They didn’t skimp out on the kimchi so the flavours were intense and spicy, just as I expected. The miso soup was also a nice palate cleanser throughout the meal when my mouth got too hot from the heat.